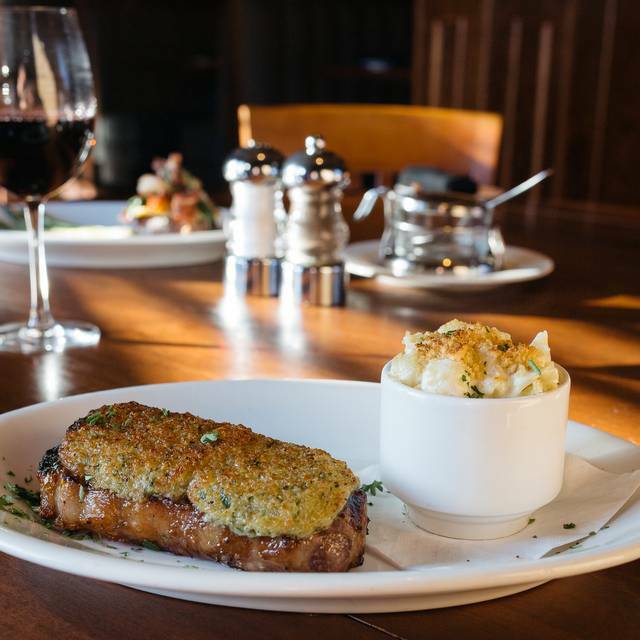 Johhny's Italian Steakhouse Eau Claire brings a new dining experience to the heart of the Chippewa Valley. 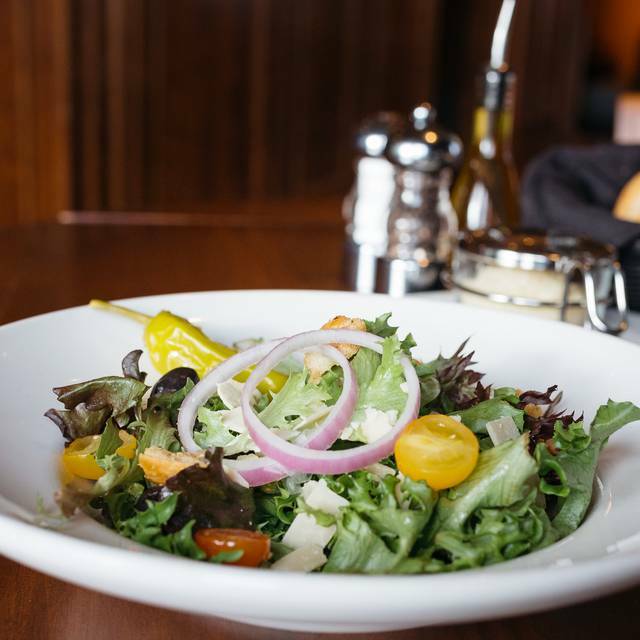 Located in the beautiful Holiday Inn and Suites, Johnny's offers guests a casual dining experience in an elegant setting. 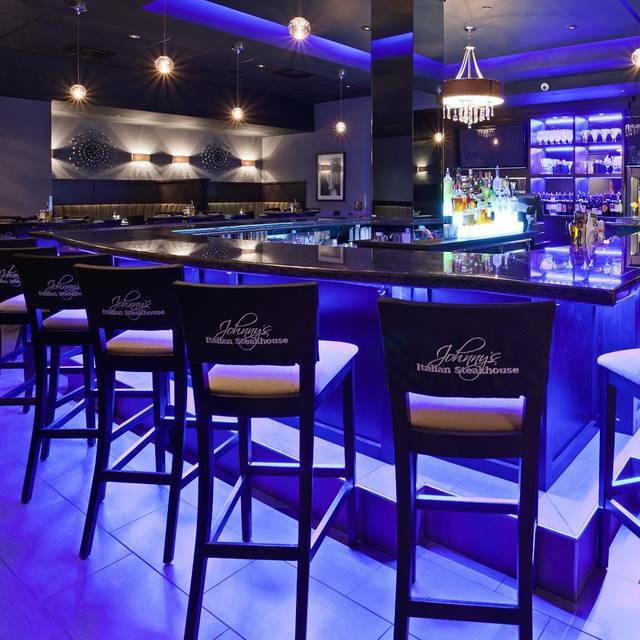 The Blue bar has an extensive selection of wine and cocktails. 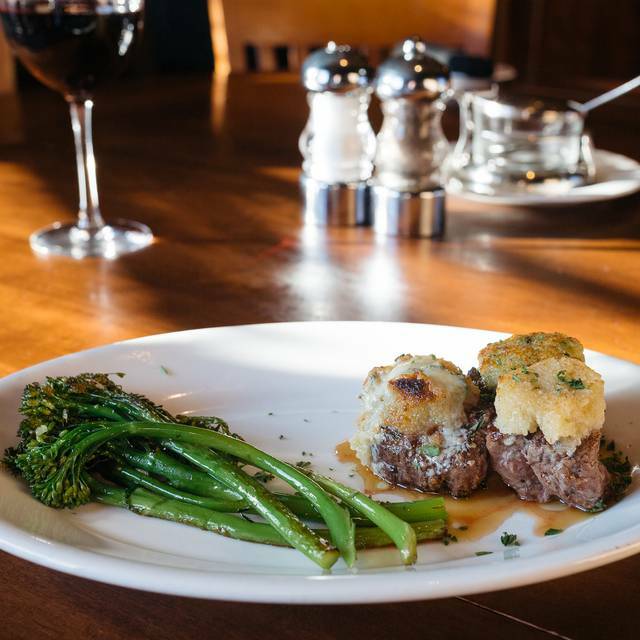 Our Culinary Institute of America trained Executive Chef prepares delicious steaks, seafood, Italian specialties and desserts. The Holiday Inn Eau Claire South has over 3,600 square feet of beautiful meeting room facilities equipped with state-of-the-art features conducive to meetings, receptions, weddings and other social gatherings. Call and inquire about availability and discover all the amenities available to you and your guests. For an additional cost add butter crusts: horseradish, parmesan, or gorgonzola cheese. Balsamic sage mushrooms or grilled onions. Oscar style, sinatra style, or chanel style. Cab for your dining experience we offer these cuts in certified angus beef - this is angus beef at it's best. It's the tastiest, juiciest, most tender beef you'll ever have. 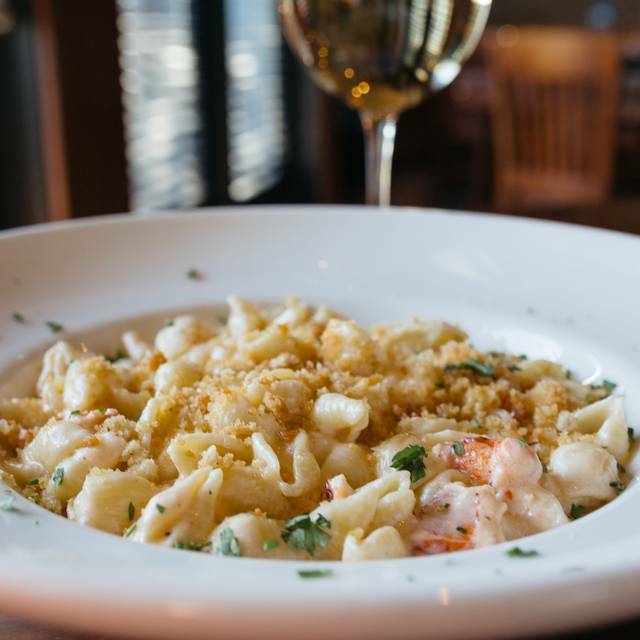 Indulge your taste buds today. 8 oz., 12 oz., 16 oz. 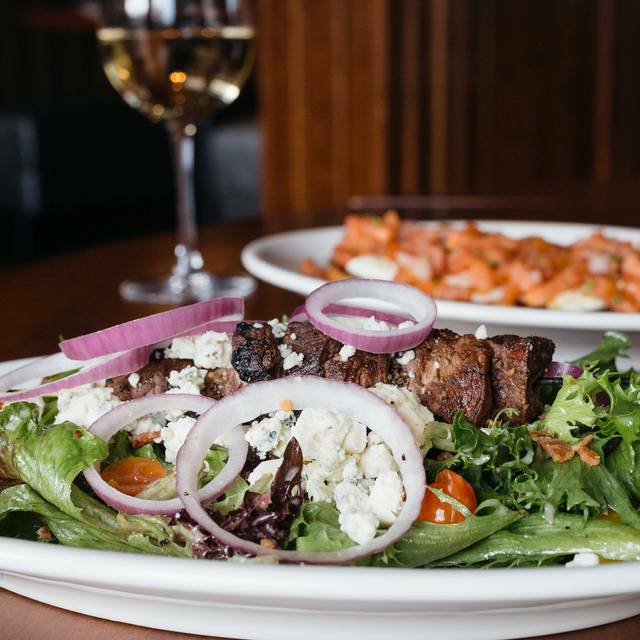 Served with our family-style house salad and fresh baked focaccia bread. I reserved a table for Mother's Day through their website here on Opentable and when I arrived for brunch, the manager came out and would not honor the reservations. My mom was heartbroken. I have never been turned away for a reservation like this before. I was shocked that Johnny's would do that. It was very irresponsible for Mother's Day. It was not my fault they were having a problem with their computer system. I showed them the confirmation and everything and they still would not accept us. The manager did not even try to make it right. Very poor service. If you have an important event like Mother's Day, I recommend steering clear of Johnny's. They have shown they are not willing to honor their reservations. When we got there, we were told they did not open till 4. They did not have our reservation. We were told that they do not take online reservations through the Open Table website? I contacted them and have not received a reply. You might want to cross paths with them, or else you will end up with some unhappy people like us. The experience at Johnny's was great...however the open table reservation was terrible. Johnny's didn't even have my reservation at all. Its a good thing since I was staying at the hotel for the weekend I went and checked and was able to get a table. Open table is a huge fail!! This place is hit or miss when it comes to Sunday brunch. There were lots of tables that were waiting to be cleared as we walked in. The table across from us didn't get cleaned the whole time we were there. Service was great. My coffee cup was always topped off. The omelette station was great. The buffet itself was nothing special. Sadly, several common items as part of normal buffet were clearly missing. E.g. Small glasses for milk, cream cheese for the bagels and jelly for the toast. On a positive note, there was plenty of butter. Lots of butter. Two bowls full. If you book a reservation through Open Table, the restaurant will not receive it. They quit using this service even though it appears to users to be functioning. I recommend you call ahead and book a reservation the old fashioned way. Incidentally, they were able to fit me in so the lack of a true reservation ended up not being a big issue. Food was really fantastic. The service was even better. Our server was very attentive and friendly. She was engaged and conversational but not intrusive. We really enjoyed our experience. The food and presentation were excellent. Great service. The food selection was special with lots of healthy choices. We will be back. A very nice selection of food. Good service all around. I took my mom here to celebrate Mother's Day. We were seated promptly, our service was excellent, and the food was prepared to our specifications. My mother felt pampered, and that was exactly what I had hoped for. We made reservations to celebrate a special occasion. It was our first time visiting. The food and service were very good. The seating was cozy with our own "area" separated by curtains which allowed our group some privacy, that was nice. We would go back again. Took my two 80 plus year old parents to this restaurant for a birthday lunch. They were more than pleased with the food the atmosphere and the service. Very well presented and tasty food. We all had different items from the menu, with the exception of the onion soup, and everyone enjoyed their meal. Our waitress was very knowledgeable when asked question before ordering, and was very attentive. Will definitely go back. I've dined here many times before and each time the service and food quality is different. Sometimes you have a great experience with attentive staff and great food and then on other occasions everything seems to fall apart. A must place to go. Will return often! 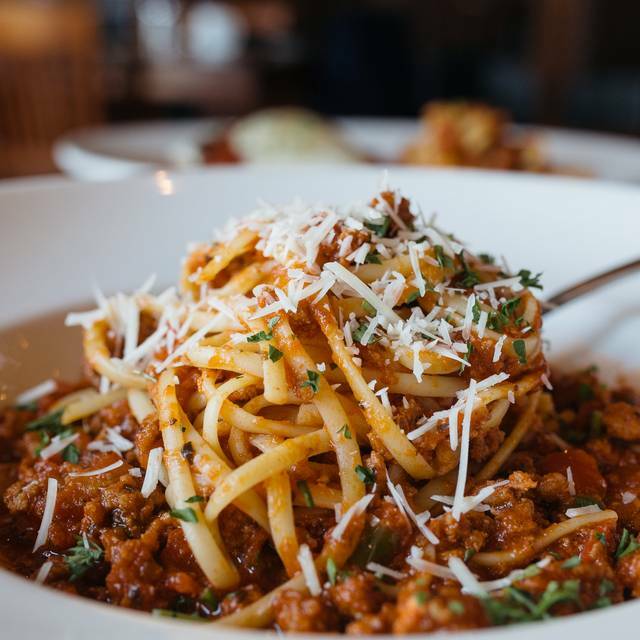 Food, service, atmosphere, all are exceptional. Just what we needed in this northern Wisconsin area! Johnny’s was a good choice for our Saturday night early dinner for two, and I was glad we had a reservation as it was filling up quickly. Our waitress was friendly and efficient, and our before dinner drinks arrived promptly. 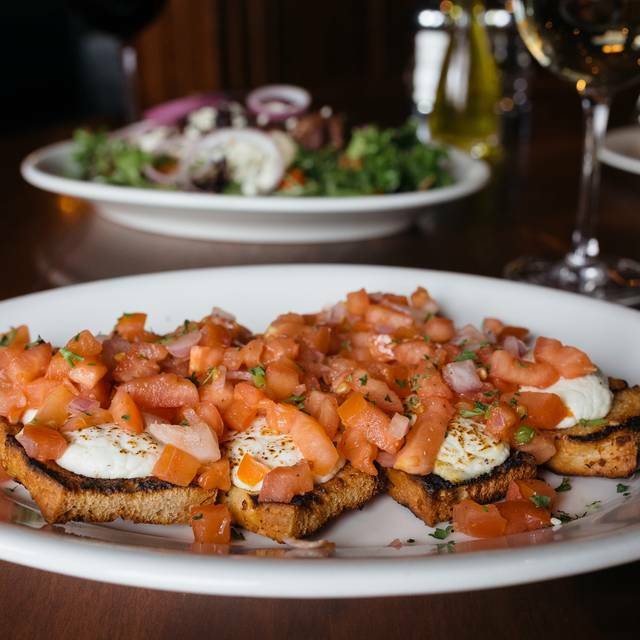 We started with the betta bruschetta, a nice beginning to get our juices flowing. Next came the crusted goat cheese salad with a pleasant blend of ingredients and balsamic vinegarette dressing; the goat cheese was coated in bread crumbs and seemed deep fried, so it offered a counter-poise to the salad – tasty. My wife wisely accepted the waitress’ suggestion of the Chilean sea bass as the evening special. Cooked to perfection, it was tender, firm, and packed with flavor. I chose the crab meat stuffed snapper which was also quite good. Portions were ample and we carried home the leftovers; the accompanying vegetables were cooked but still crunchy—just the way we like them. But we couldn’t leave without trying the warm chocolate cake served with cinnamon ice cream – yum. Their wine list is broad and not wildly priced (the gouge in too many restaurants) and there’s a good selection of wines by the glass. Yes, it’s a little dark in the place but overall the ambiance and setting is very calming. Service was excellent – timely, intelligent, considerate, and non-intrusive. The best steaks. 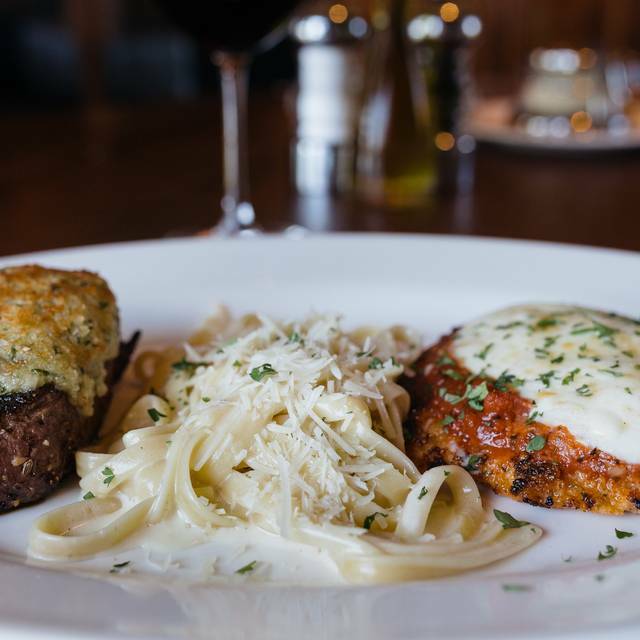 Love the the parm crusted filet. Popovers are a feat touch. We love to go to Johnnys for a special occasion. Tried calling the resturant for a reservation, and they said there were not avalible. Booked online and got one at 8PM, called back and said that there must have been a computer glitch, and they would make a table for us. When we got to the resturant, the table was not ready, and we couldn't even find a seat at the bar.